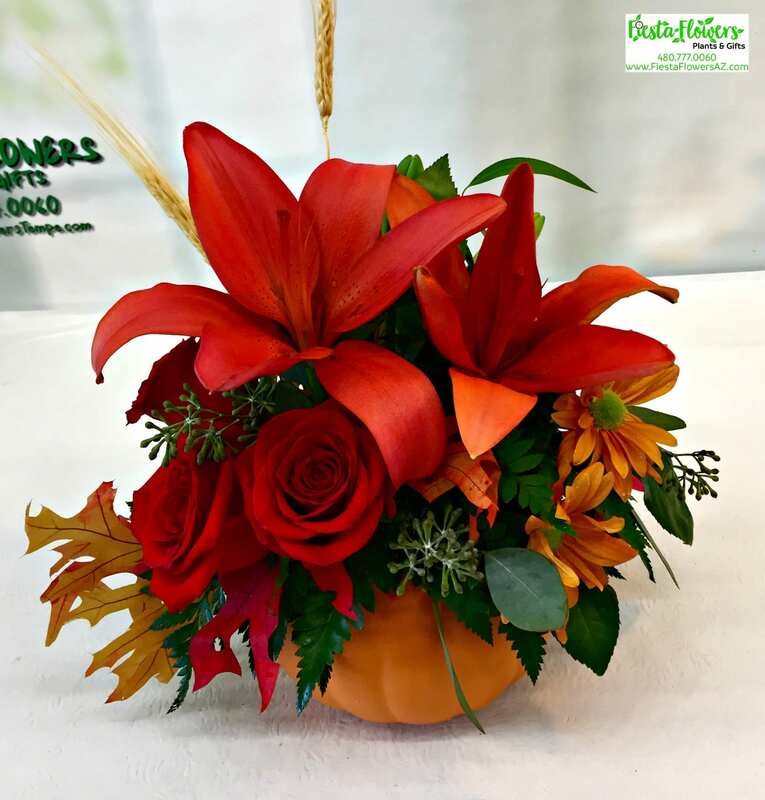 Here’s a sweet treat to celebrate Fall! Our Harvest Pumpkin is a seasonal bouquet in a ceramic pumpkin vase. 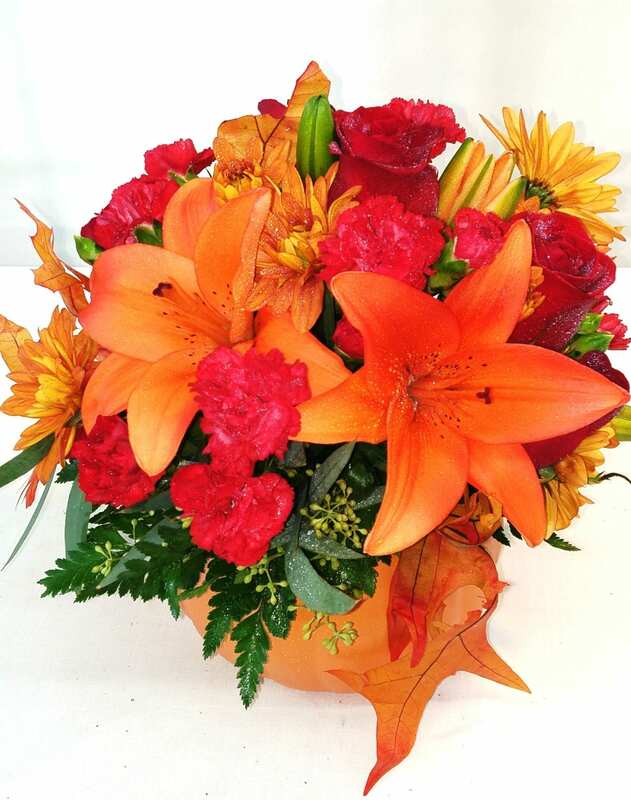 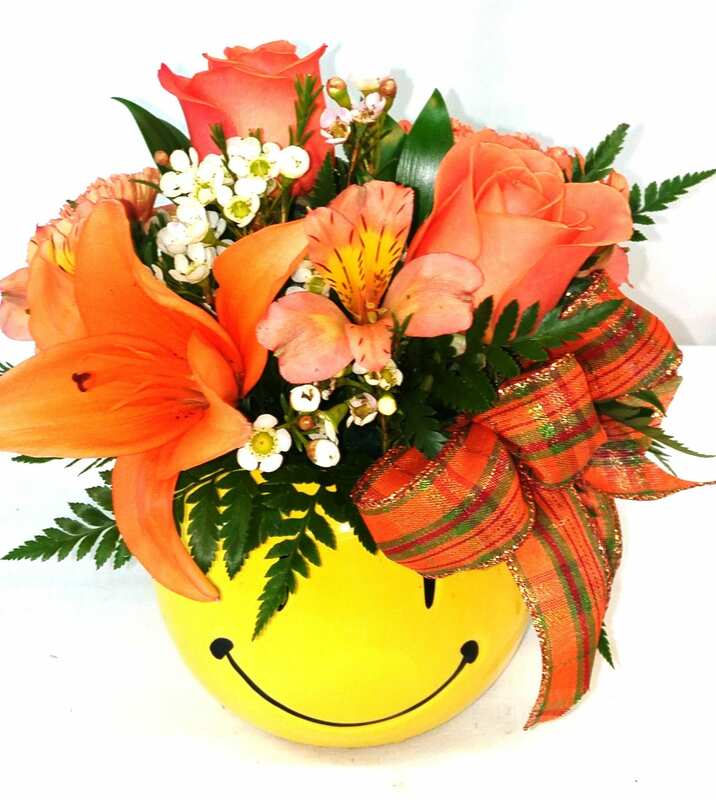 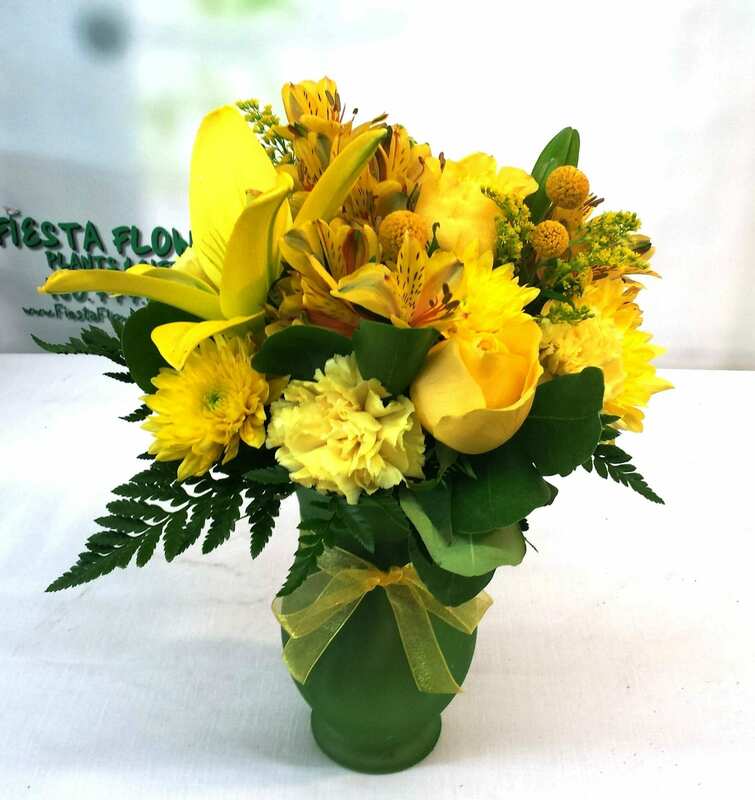 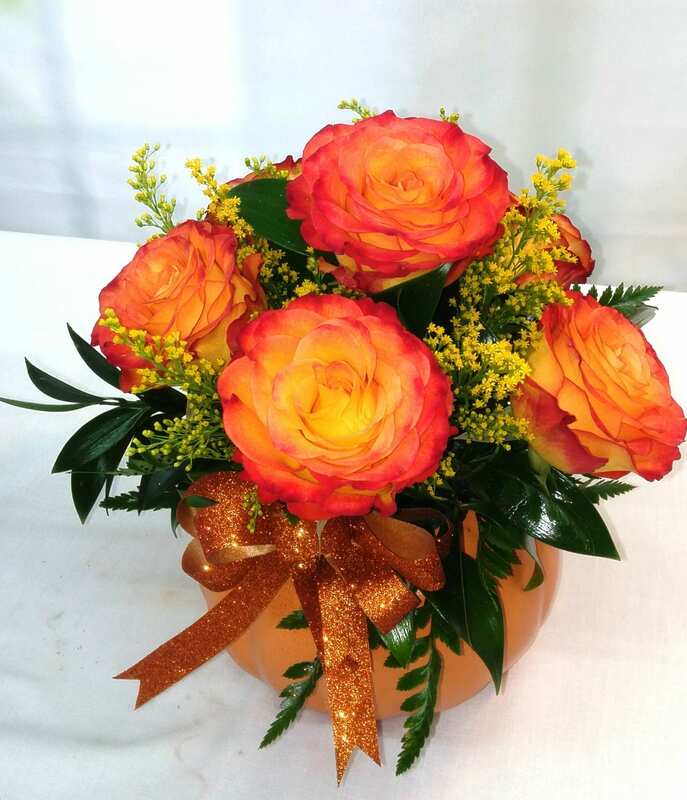 Orange Lilies, red Carnations and Roses, and seasonal Mums create a lush bouquet. 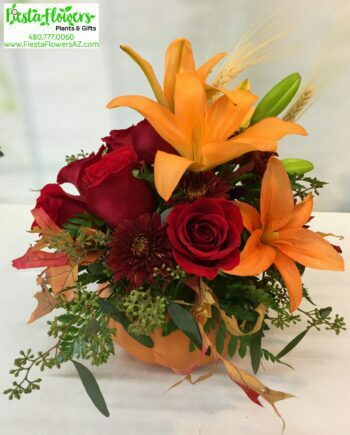 We have added a finishing touch of preserved autumn Oak Leaves and Wheat complete this arrangement.